LOS ANGELES, Calif. — The convicted prankster who called 911 with a false murder and hostage report that resulted in a SWAT team surrounding an innocent man’s home—with police fatally shooting the father of two—has been charged with one felony count of creating a false alarm and will be extradited to Kansas to face trial. Tyler Raj Barriss, 25, appeared in a Los Angeles courtroom on Wednesday, where he waived his right to fight extradition to Kansas, where the innocent man died. A “fugitive from justice” warrant had been filed against Barriss, along with the felony charge. According to the Los Angeles Times, in May 2016, Barriss was sentenced to two years and eight months behind bars for making a false bomb threat, but was released in January 2017. The following day, he was arrested again after violating a protective order, and spent another seven months in jail. Glendale Police Sgt. Daniel Suttles told the outlet that it is believed Barriss is responsible for at least two dozen bomb threats, including those that resulted in the evacuation of an elementary school and a local television station. 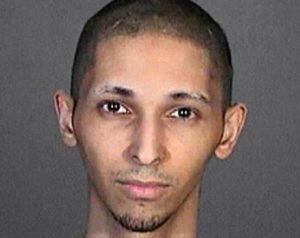 Prior to the latest incident, the Los Angeles Police Department was already investigating Barriss over a number of “swatting” calls that prompted a large law enforcement turnout. Swatting is defined as making a false report to the police that results in a response from a Special Weapons and Tactics (SWAT) team. As previously reported, last Thursday, a video gamer who had been in an argument in playing a “Call of Duty: World War II” game with a $1.50 wager contacted Barriss and asked him to get back at his online competitor. However, the other player who was to have been “swatted” lied by providing an address that was not his own. Barriss then used this address as he told the 911 operator that he had shot his father in the head following an argument with his mother, and that he was now holding his siblings and mother hostage in the closet. He also claimed that he had poured gasoline throughout the home, and was thinking of lighting it. Law enforcement consequently descended on the Wichita address that Barriss read to the operator, which is a two story home. Andrew Finch, 28, soon came to the door to see what was happening. He reportedly had no knowledge of the gaming dispute and was not involved. Finch, a married father of two, later died at the hospital. He had been unarmed, and his family says that there are no weapons in the house. His mother, Lisa, recalled to reporters what took place that night. Finch also sent a letter on Tuesday to Mayor Jeff Longwell in search of answers. She said that she has not yet been able to see her son’s body, and also wants to know the police protocol for handling swatting incidents. Civil rights attorney Andrew Stroth, who is representing the Finch family, told reporters that he believes Barriss should be held accountable, but so should the police. The officer who shot Finch is on paid leave pending an investigation. 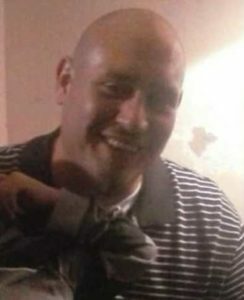 “Justice for the Finch family constitutes criminal charges against the shooting officer and any other liable officers, as well as damages against the city of Wichita for the policies and practices of its police department,” Stroth told the Associated Press. The FBI states that an estimated 400 false reports or “swatting” calls are made to 911 each year. Some use caller ID “spoofing” so as to hide their location and identity.